Iconic city centre pub The Jacaranda reveals new look in video and pictures, ahead of 2014 reopening. The Jacaranda, the iconic Liverpool bar, best known for being the first venue to host The Beatles, is to reopen this year. 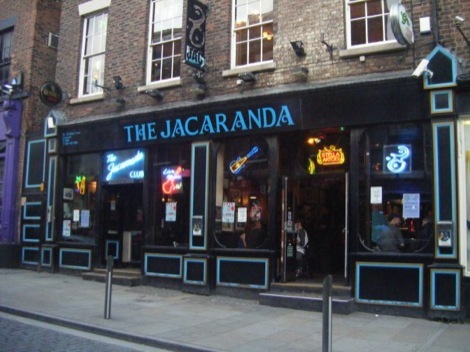 The Jacaranda closed down in mysterious surroundings on 31 October 2011, however, it has been revealed through the pub’s official Facebook page the popular Slater Street venue is to return in spring/summer 2014. 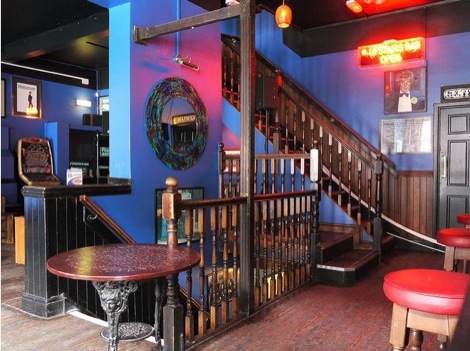 Rumours concerning its reopening first started circulating in December, before Liverpool city bar Heebie Jeebies, run by Graham Clarke, who also owns the Jacaranda, leaked the news via its social media accounts. The Jacaranda, or the Jac as it is popularly known, has a rich history linked with The Beatles. It was founded in 1957 by Allan Williams, the Fab Four’s first manager and “the man who gave them away”. Williams leased an old watch repair shop which he converted into a coffee bar. He named the venue the Jacaranda after an exotic species of ornamental flowering tree. The Jac, as it became known, opened a year later in September 1958 and John Lennon, Stuart Sutcliffe and Paul McCartney were frequent customers. Asking for the chance to play at the club, Williams instead put them to work redecorating, with Lennon and Sutcliffe painting a mural for the Ladies room. The Beatles finally began playing at the Jac and in the summer of 1960, Williams secured a number of bookings for the group at other venues. Prior to its closure, the Jacaranda was known for its basement vault booths, chandeliers and a belting Wurlitzer jukebox. The walls were covered with pictures of The Beatles, Cilla Black and Epstein, alongside posters for seemingly every Beatles-related movie, play and revue. Nestled among them is the celebrated 1956 school picture of pupils at the Liverpool Institute, in which can be seen McCartney and his brother Mike, George Harrison, newsreader Peter Sissons and various members of Gerry And The Pacemakers, Remo Four and The Quarrymen. However, there has been concern that the historic fittings within the Jac are being ripped out to make way for a fresh interior, leading some Merseysiders to voice their concern. Chris Gibson, editor at Future Liverpool, said: ‘I walked past the Jacaranda last night and every single thing had been ripped out, including the bar. There was a workman’s bench in there. What’s happening to our beloved lost pub? All will be revealed in due course, for now are a selection of new photographs inside the Jacaranda plus a snippet of footage which has been leaked from within one of Liverpool’s most beloved watering holes. The new look Jacaranda on Slater Street. Interior Jacaranda pictures by Ashley Middleton. 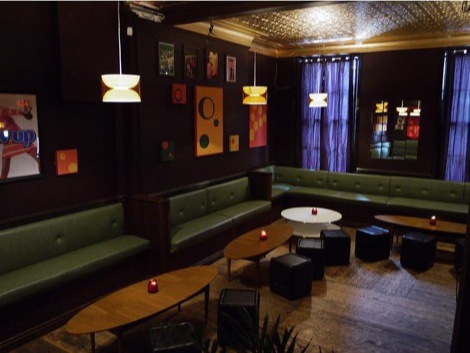 The Masque reopens as East Village Arts Club: Owner says – Liverpool music is exciting, we want to be a part of it. Le Bateau: The boat that rocked Liverpool – the legendary nightclub closes its doors. Wolstenholme Creative Space: The end of Liverpool’s finest DIY venue. Maguire’s Pizza Bar: Extra toppings for Liverpool’s latest new haunt. 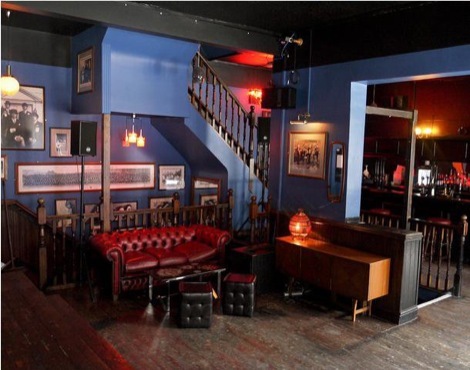 Motel Bar: Liverpool’s new nightspot for serious music lovers.